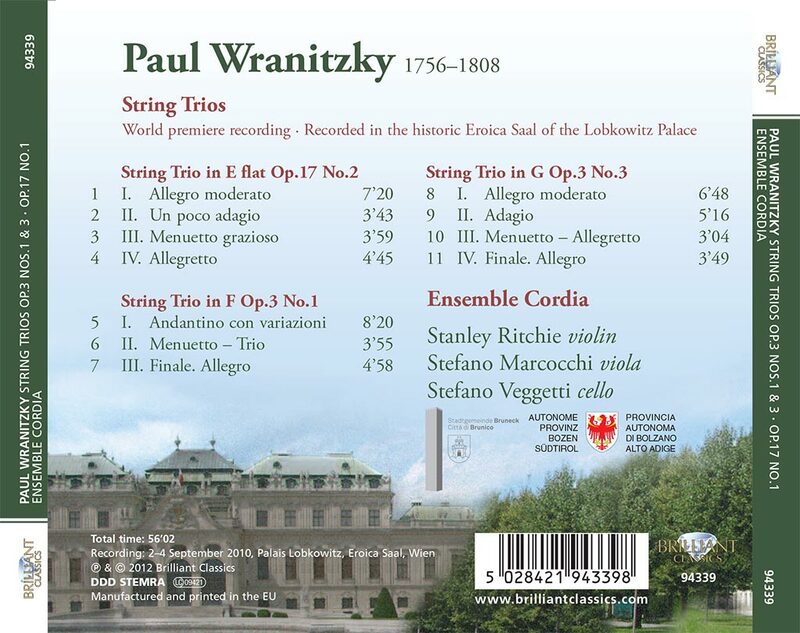 Paul Wranitzky was born in the same year as Mozart, 1756, and died a year before Haydn, 1809. As a leading figure in the musical life of Vienna he knew both of them and featured in Beethoven’s career too. Born in Moravia Wranitzky’s early education seemed to anticipate a career in the church, but his abilities as a violinist and fledgling composer gradually began to move the focus of his life towards becoming a freelance musician in Vienna. 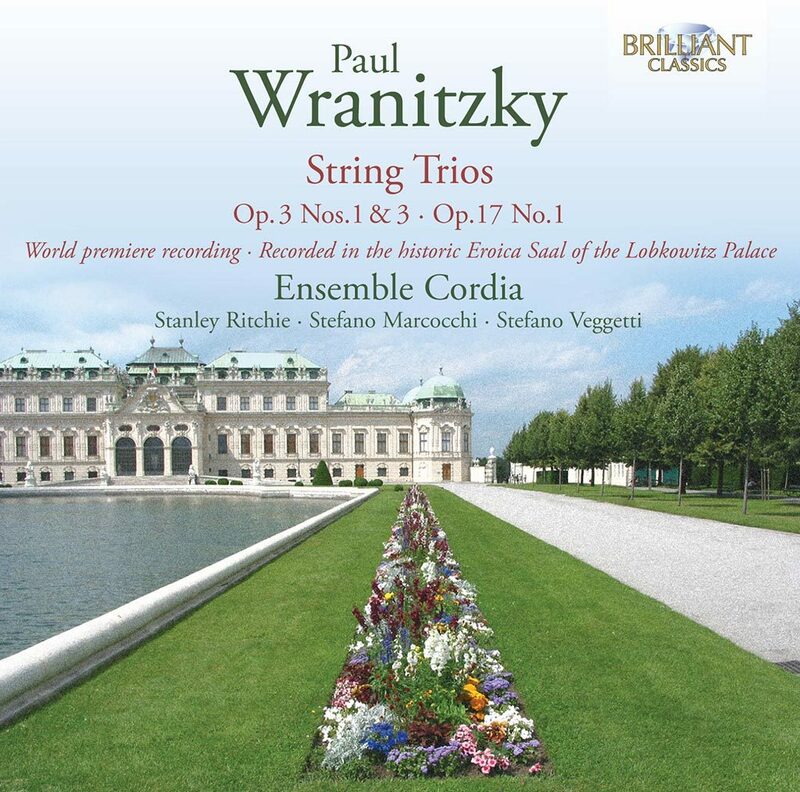 The three trios on this disc were composed in the later 1780s and early 1790s just as Wranitzky was beginning to establish himself as a major figure in Vienna’s music life. His easy mastery of the medium in terms of a balanced and continually varying sonority is evident in all three works. The sound is a rich one and all three players contribute to the dialogue, exchanging material informally as in the first movements of Op.17 No.1 or taking it in turn as in the variations that open Op.3 No.1. Ensenble Cordia have specialised in historically informed, stylish performances of the music of this period, unearthing much neglected but lovely music in the process. Their previous disc on Brilliant Classics was of chamber music by Paul Wranitzky’s brother Anton, and it won critical success.